Opening for business almost 30 years ago as a carpet cleaning company, our offering has grown to include an incredible range of janitorial supplies, supplying schools; hotels; offices; washrooms; changing rooms; nurseries; hospitals and much more. Continuing on from our roots, carpet cleaning machines remain one of our specialities. 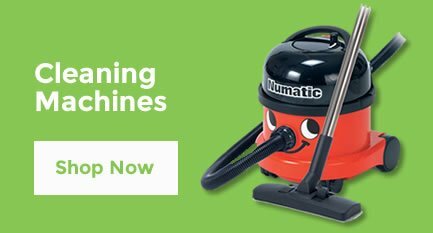 Our staff have encyclopedic knowledge of our cleaning machines, which means that they are best placed to advise the exact machine to suit your needs. We are proud to be associated with many leading brands including the likes of Sainsbury’s; The National Trust; Audi; IKEA; Specsavers; Tony & Guy Hairdressing and Crown Plaza Hotels and Resorts amongst many more. We hope that by learning of some of our renowned clients, you are assured that the quality of the products we provide is nothing short of excellent. Every product we sell meets the require safety regulations and standards where applicable. We supply high quality cleaning products from a range of leading brands including Kruger, Kimberly Clarke, Bluechip, Prochem and SC Johnsons among many more. As for our cleaning machines, you will find the following manufacturers featured on our site; Karcher, Prochem, Numatic, Nilco and many more. Our washroom services offering is available across the UK. We fit around your schedule and offer professional yet discreet services which are tailored to your facility and requirements. We offer free quotations, too! Janitorial Direct promotes integrity and honesty when we deal with our customers; this helps to forge a firm partnership between supplier and customer. We pride ourselves not only on our competitive prices across our entire range of products, but on our stellar service. We don’t just deliver your goods, we deliver on service too. In fact, we are rated 9/10 by our customers for our friendly service and expertise. We have many repeat clients who order replacement products regularly. We offer a personal service, with a promise to answer your phone call within 3 rings so you know you’ll never be left waiting. We also offer a live chat service too, to help you get the answer you need, fast. 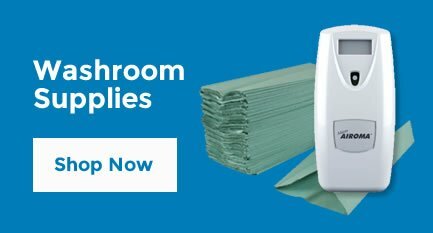 We supply a full range of cleaning products, all at discount prices including chemicals to toilet rolls & hand towels; workwear & accessories to washroom equipment, our choice of products caters to every business. We provide everything that is needed to not only keep environments sparkling clean and sterile, but safe and functioning well, too. 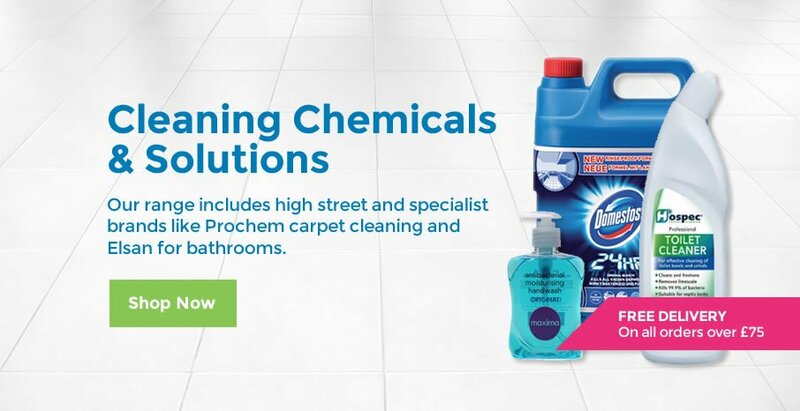 All of our cleaning supplies are available at extremely competitive prices, and given the nature of the products we sell we can deliver all our cleaning supplies on pallets with great bulk order discounts. Our professional cleaning machinery is usually quoted over the phone to ensure you get the best deal possible. NOTE: We offer free delivery on all over orders over £75 excluding VAT, whilst any orders under this threshold are available for convenient delivery at a cost-effective rate. Be sure to check out our offers section too, we update this regularly with special offers and discounted products to help pass further savings to our customers. We have a large portfolio of renowned clients who order regularly from Janitorial Direct. "We don’t settle for second best so why should you? Choose Janitorial Direct for your cleaning supplies and equipment. We look forward to welcoming you as a customer!"